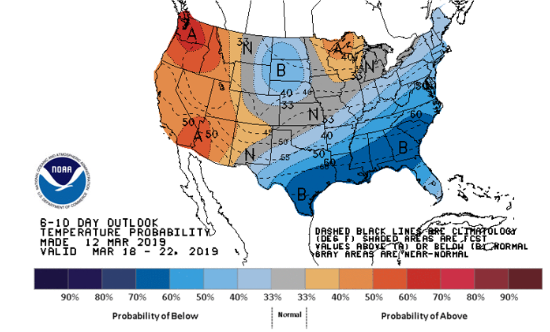 With withdrawal season officially coming to a close after next week’s report, the current and slightly bullish pull of 36 Bcf is certainly embracing the recent influx of milder weather during the shoulder season so far. 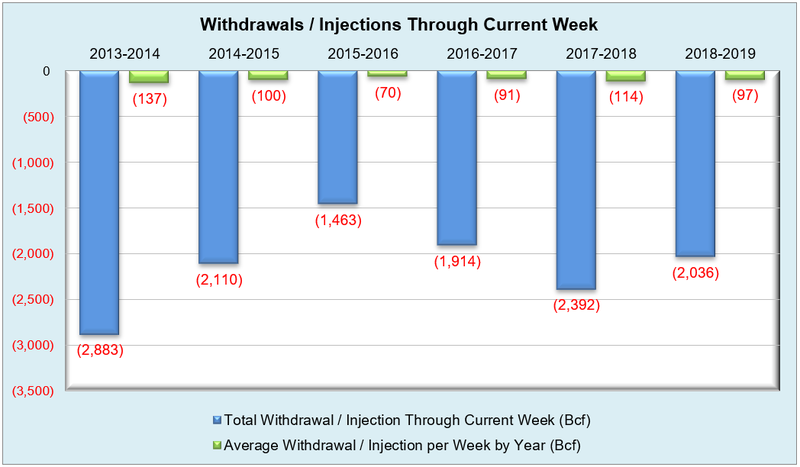 Falling short of both last year’s 66 Bcf draw and the five-year average of 41 Bcf, this light withdrawal is indicative of dry gas production continuing to be robust as usual while fundamental factors such as weather are demanding less from supply, at least for the time being. 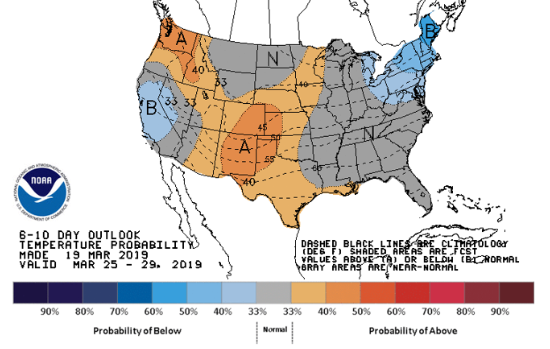 On the other hand, coal plants are still being shuttered due to being uneconomic compared to other generation sources, and natural gas capacity is being added to replace it in the supply stack across the Lower 48. 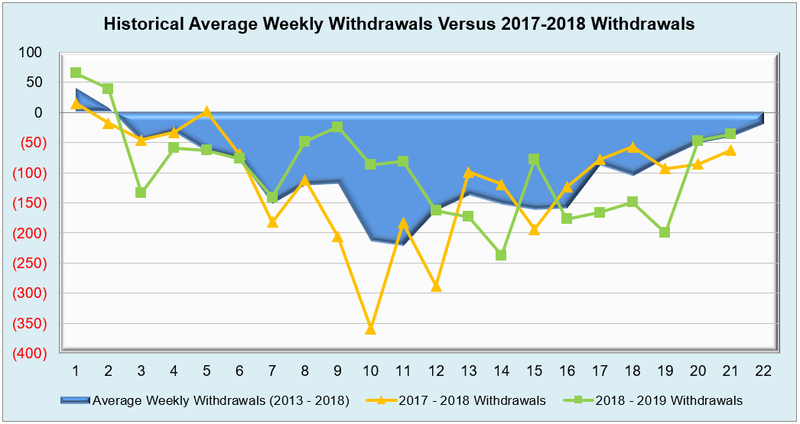 Power burns and LNG exports are two important factors on the demand side that are expected to contribute to the bullish side of things, while long term production strength should, in theory, help smooth out normal seasonal curves. 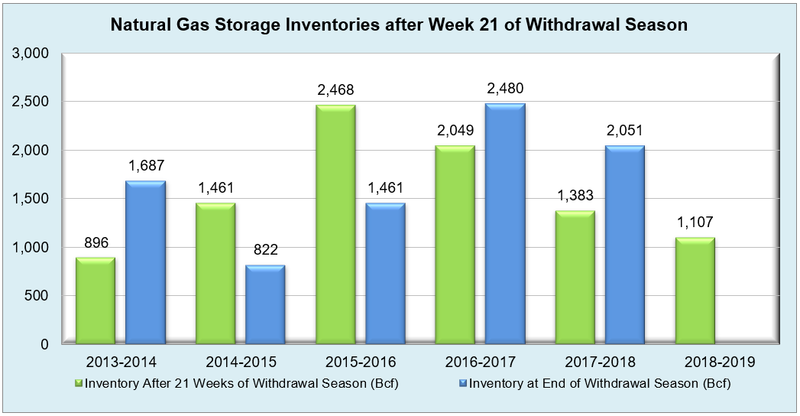 The augmented reliance on natural gas in light of coal retirements paired with a projected record-setting electricity demand picture in 2019 could see storage inventories ending up at similar levels to 2018 once withdrawal season rolls around again. 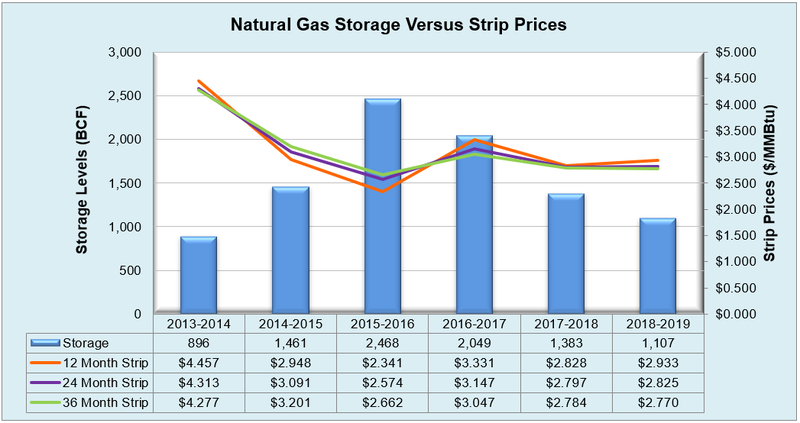 Working natural gas in storage currently stands at 1,107 Bcf, which is 285 Bcf (20.5%) lower than this time last year and 551 Bcf (33.2%) lower than the five-year average. The May 2019 NYMEX Futures price began the day around $2.72/MMBtu prior to the report’s release and remained flat after the report was posted.